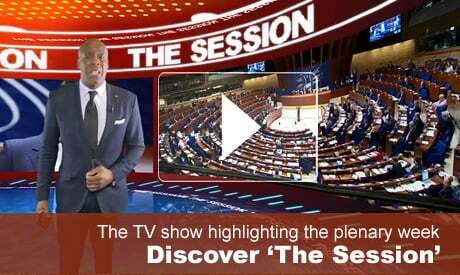 Debates on attacks against journalists and media freedom in Europe, the challenges and accountability of online media and journalism and the need to end cyberdiscrimination and online hate speech were at the heart of the PACE winter plenary part-session held in Strasbourg from 23 to 27 January 2017. There were also requests for an urgent debate on the functioning of democratic institutions in Turkey and for a current affairs debate on the situation in Syria and its effects upon surrounding countries. Addressing the Assembly were Nicos Anastasiades, President of Cyprus, Klaus Iohannis, President of Romania, and Johannes Hahn, European Commissioner for European Neighbourhood Policy and Enlargement Negotiations. Thorbjørn Jagland, Secretary General of the Council of Europe, presented his statement to Assembly members, and Ioannis Kasoulides, the Cypriot Foreign Minister, spoke in the context of the Cypriot Chairmanship of the Committee of Ministers. Other highlights of the session were debates on the functioning of democratic institutions in Ukraine, the situation in Lebanon and challenges for regional stability and European security, and the humanitarian crisis in Gaza. The Assembly also focused on the progress of its monitoring procedure (September 2015-December 2106).